How Empathy Gap Affects Women in the Workplace? There are many things you need to be aware of before you enter into any work environment and one of the things is the empathy gap. Especially if you are women looking for a job, then you must understand completely what empathy gap means at the workplace and how it can affect you. The ability to understand other people feelings and needs is called empathy. When others understand your requirements, your life becomes easier and more satisfying ever before. It is highly true in every aspect of life, but you may have felt this thing in the workplace. If your company or boss fails to understand your feelings, then you are probably experiencing a thing called empathy gap. Sadly, the empathy gap greatly affects women in the workplace that one can’t even imagine. To understand how empathy gap affects women in the working environment, first, you need to understand more about the empathy gap. It is the difference between how you think other feel about you and how they truly feel. The empathy gap can also be in your own mind too. Let’s take an example; you have registered for a gym membership as you want your body in perfect shape. And the gym compromises of training classes and tools that you are highly sure you will love it. Once you pay the money for the gym membership, you begin to visit the gym and you end up finding that you actually hate it. This kind of empathy gap is called the “hot-cold”. When you are registering for the gym membership, you are just thinking it will be amazing for you. However, when you go there in reality, you find beyond your imagination. The empathy gap in the workplace more frequently happens when the company or boss thinks employees feel one way, but in reality, they feel in another way. Let’s take an example, the boss in small business or startup devotes all time to his or her business and in turn, expects that his or her employees will do the same. This creates a huge conflict between the employees and the boss. In this situation, the boss may wonder why employees are not working like he or her. On the other hand, the employees think that their boss is selfish towards them. This conflict is the empathy gap. Sadly, the empathy gap hugely affects women more as compared to men in the workplace. Main Thing: How Does the Empathy Gap Affect Women at Workplace? As we all are well aware that women and men have completely different priorities, needs and requirements. Women priority is temporal flexibility over the high-pay job, and on the other hand, men prefer a high-pay job and they have no problem in sacrificing temporal flexibility. There is no doubt that a company that value money more will surely reward its employees with bonuses and incentives. On the other side, a company that value temporal flexibility more may offer smaller paychecks but provide flexible timing, part-time work or telecommuting. As more men are seen in leadership or managerial roles as compared to women, and that’s why you may have experienced the empathy gap between what the management provides and what the employees really want. There are many factors, such as maternity leave that attract women towards one company, but these kinds of benefits are not the main priority for every company. The first step to close the empathy gap is to know if the empathy gap really exits or not. Once you as a boss are able to realize that not every employee has the same requirements, needs and wants as you, you can begin working to close the empathy gap. As a boss, you have to understand what your employees actually want, and what your employee’s main priorities are in order to work on the empathy gap. 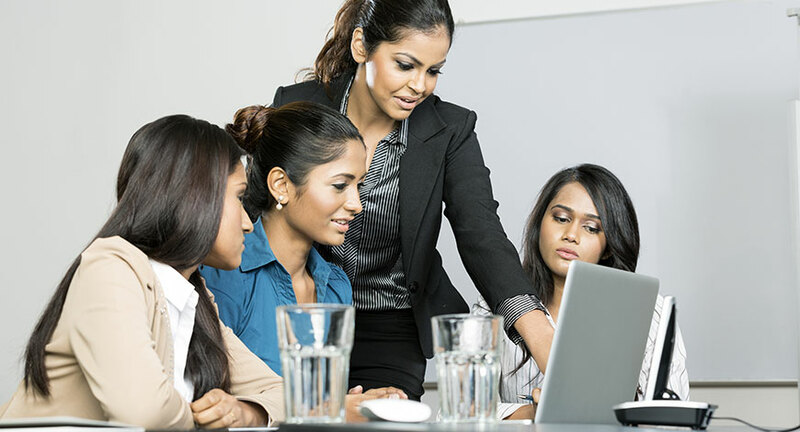 If possible, try to provide all the needs and requirements your employees wish from you, especially women employees. Employees enjoy flexible job hours, spa services in the office, and team building opportunities. Get out of your comfort zone or environment. Try to discover your heart. Try to ask better queries from others. You can pick any of the above tips and work on it and this will surely aid in building your own empathy in a much better manner. This will even help you to reduce the empathy gap in your workplace if it exists. If you are an HR manager in your office, then you can also follow the above tips to aid your employees. You can guide the finance department about marketing or vice versa, and in this way, both departments in your workplace can accomplish empathy for each other and build a better relationship. Remember that more empathy will be expressed in your workplace, the more it will aid your employees to feel respected. This will help them to gain success for themselves and your company. Every work environment has its own challenges and obstacles. Employees needs to be aware and find a way to overcome these encounters, if you’re thinking about taking a leap of faith like working abroad , you must be aware of the country’s regulations and popular work environments in its culture m the best way to find a job which suits your requirements and qualifications is through secured online jobs websites like Joblang and apply online , it works both ways whether you’re looking for a local job opportunity or work abroad opportunity. If you’re looking for Jobs in the UK, or Canada, or the USA, or Australia, then you can easily visit Joblang.com which helps you find a suitable job either locally or work abroad opportunities.